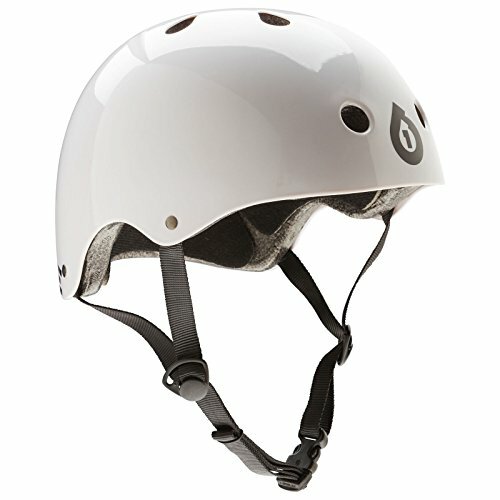 The Dirt Lid offers multi sport protection for those urban sessions or your favourite line through the skate park. Metallic painted shell. Custom shaped embossed anti-microbial Drylex liner. Magnetic Fidlock buckle. Camlock ear strap adjusters. Durable shell made from ABS. Complies to standards: CPSC, CE: 1078, AS/NZS 2063. The Dirt Lid offers multi sport protection for those urban sessions or your favourite line through the skate park. Metallic painted shell. Custom shaped embossed anti-microbial Drylex liner. Magnetic Fidlock buckle. Camlock ear strap adjusters. Durable shell made from ABS. Complies to standards: CPSC, CE: 1078, AS/NZS 2063. The Krown Action Tri-pack is designed to take abuse from all types of action sports including skateboarding, bmxing, and inline skating. Includes Knee Pads, Elbow Pads, and Wrist Guards. Choose from Adult Extra Small to Large. See below for sizing instructions on the wrist/elbow/knee pads. To ensure a good wrist guard fit, measure hand circumference at the knuckles and match to the sizes listed below: XS 7.0 â€" 7.5 inches.Â S 7.5 â€" 8.0 inches. M 8.0 â€" 9.0 inches. L 9.0 â€" 10.0 inches. To ensure a good knee pad fit, measure the circumference of your extended knee and match to the sizes listed below: S 12 - 14 inches. M 13 - 16 inches. L 15 - 18 inches. To ensure a good elbow pad fit, measure the circumference of your elbow with your arm outstretched and match to the sizes listed below:. S 6 - 8 inches. M 8 - 10 inches. L 10 - 12 inches. 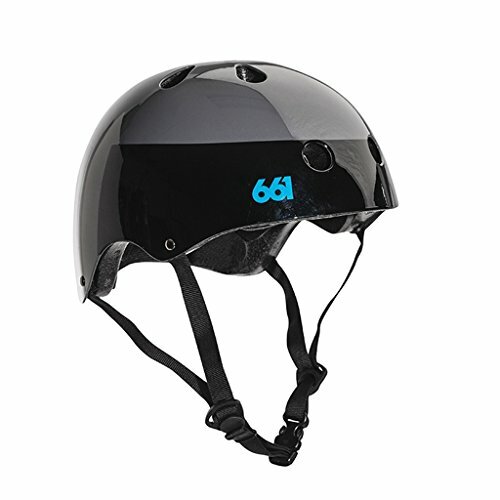 The Dirt Lid offers multi sport protection for those urban sessions or your favourite line through the skate park. Traditional skate style profile. Durable shell made from ABS. One shell with additional pads for unlimited adjustability. Multi-sport use. Complies to standards: CPSC, CE:1078, AS/NZS 2065. The Krown Action Tri-pack is designed to take abuse from all types of action sports including skateboarding, bmxing, and inline skating. Includes Knee Pads, Elbow Pads, and Wrist Guards. Choose from Adult Extra Small to Large. See below for sizing instructions on the wrist/elbow/knee pads. To ensure a good wrist guard fit, measure hand circumference at the knuckles and match to the sizes listed below: XS 7.0 â€“ 7.5 inches.Â S 7.5 â€“ 8.0 inches. M 8.0 â€“ 9.0 inches. L 9.0 â€“ 10.0 inches. To ensure a good knee pad fit, measure the circumference of your extended knee and match to the sizes listed below: S 12 - 14 inches. M 13 - 16 inches. L 15 - 18 inches. To ensure a good elbow pad fit, measure the circumference of your elbow with your arm outstretched and match to the sizes listed below:. S 6 - 8 inches. M 8 - 10 inches. L 10 - 12 inches. 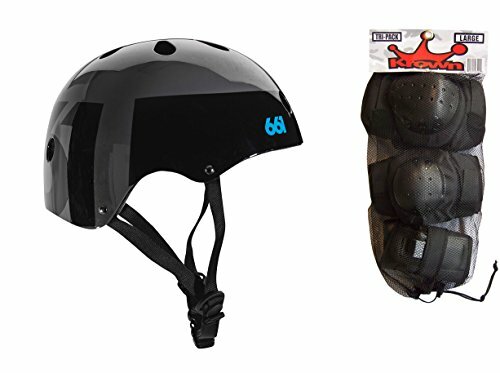 The Dirt Lid offers multi sport protection for those urban sessions or your favourite line through the skate park. Traditional skate style profile. Durable shell made from ABS. One shell with additional pads for unlimited adjustability. Multi-sport use. Complies to standards: CPSC, CE:1078, AS/NZS 2065. Youth S/M fits circumference 18"-21" (48-54cm). Youth L/XL fits circumference 21" - 22" (54-58cm). The Krown Action Tri-pack is designed to take abuse from all types of action sports including skateboarding, bmxing, and inline skating. 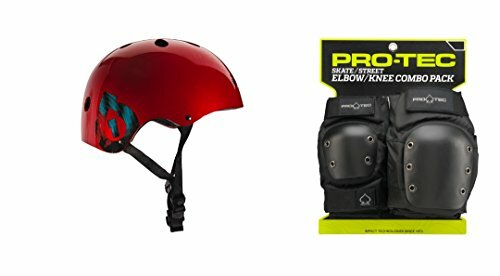 Includes Knee Pads, Elbow Pads, and Wrist Guards. The Dirt Lid offers multi sport protection for those urban sessions or your favourite line through the skate park. Traditional skate style profile. Durable shell made from ABS. One shell with additional pads for unlimited adjustability. Multi-sport use. Complies to standards: CPSC, CE:1078, AS/NZS 2065. 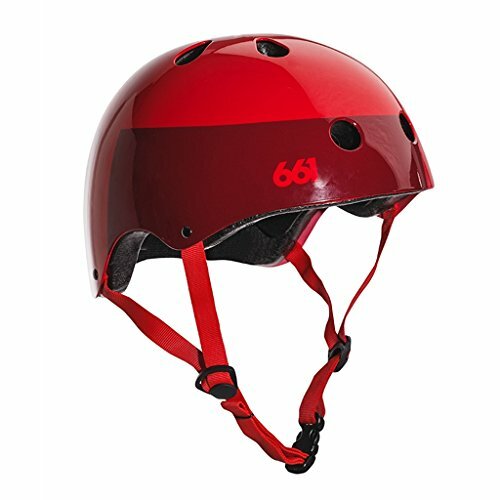 The Dirt Lid offers multi sport protection for those urban sessions or your favourite line through the skate park. Traditional skate style profile. Durable shell made from ABS. One shell with additional pads for unlimited adjustability. Multi-sport use. Complies to standards: CPSC, CE:1078, AS/NZS 2065. Pro-tec set the industry standard when the Protec Street Knee and Elbow Pad Set series hit the scene. High-grade, durable fabrics, EVA cup foam, and full-coverage caps provide complete protection without restricting movement. Protec detailing throughout. 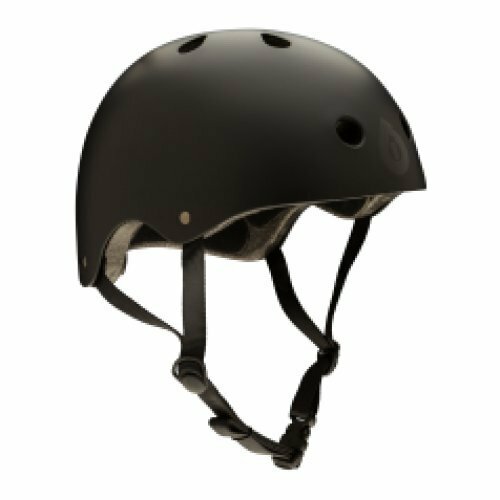 The Dirt Lid offers multi sport protection for those urban sessions or your favourite line through the skate park. Metallic painted shell. Custom shaped embossed anti-microbial Drylex liner. Magnetic Fidlock buckle. Camlock ear strap adjusters. Durable shell made from ABS. Complies to standards: CPSC, CE: 1078, AS/NZS 2063. Pro-tec set the industry standard when the Protec Street Knee and Elbow Pad Set series hit the scene. 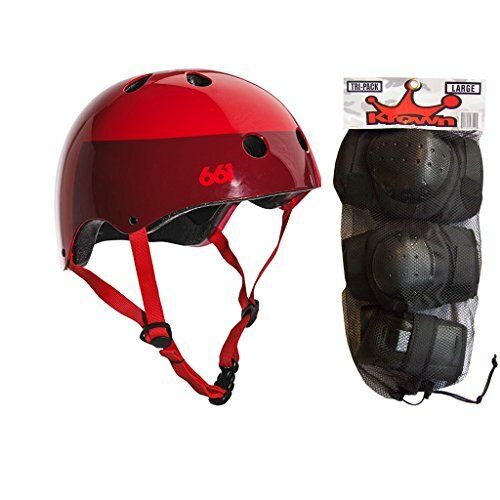 High-grade, durable fabrics, EVA cup foam, and full-coverage caps provide complete protection without restricting movement. Protec detailing throughout. 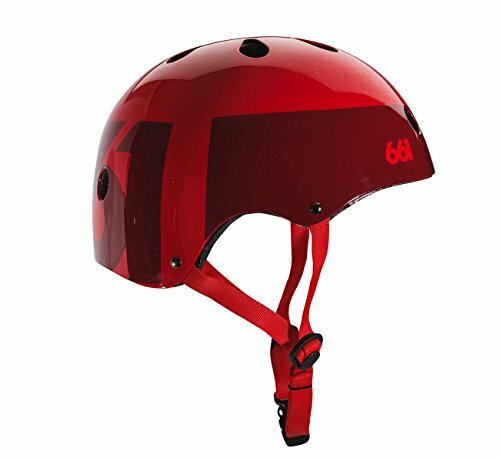 The Dirt Lid offers multi sport protection for those urban sessions or your favourite line through the skate park. Metallic painted shell. Custom shaped embossed anti-microbial Drylex liner. Magnetic Fidlock buckle. Camlock ear strap adjusters. Durable shell made from ABS. Complies to standards: CPSC, CE: 1078, AS/NZS 2063. The Krown Action Tri-pack is designed to take abuse from all types of action sports including skateboarding, bmxing, and inline skating. Includes Knee Pads, Elbow Pads, and Wrist Guards. Choose from Adult Extra Small to Large. See below for sizing instructions on the wrist/elbow/knee pads. To ensure a good wrist guard fit, measure hand circumference at the knuckles and match to the sizes listed below: XS 7.0 – 7.5 inches. S 7.5 – 8.0 inches. M 8.0 – 9.0 inches. L 9.0 – 10.0 inches. To ensure a good knee pad fit, measure the circumference of your extended knee and match to the sizes listed below: S 12 - 14 inches. M 13 - 16 inches. L 15 - 18 inches. To ensure a good elbow pad fit, measure the circumference of your elbow with your arm outstretched and match to the sizes listed below:. S 6 - 8 inches. M 8 - 10 inches. L 10 - 12 inches. 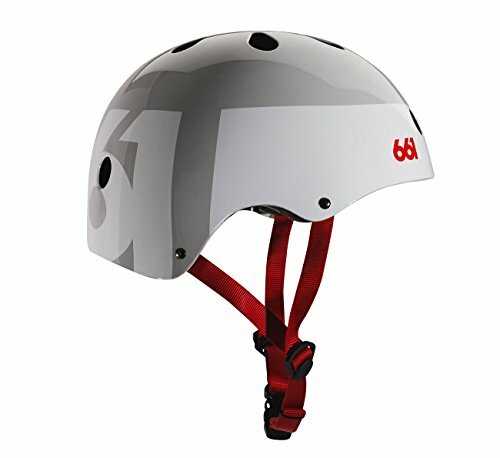 The Dirt Lid offers multi sport protection for those urban sessions or your favourite line through the skate park. Traditional skate style profile. Durable shell made from ABS. One shell with additional pads for unlimited adjustability. Multi-sport use. Complies to standards: CPSC, CE:1078, AS/NZS 2065. The Krown Action Tri-pack is designed to take abuse from all types of action sports including skateboarding, bmxing, and inline skating. 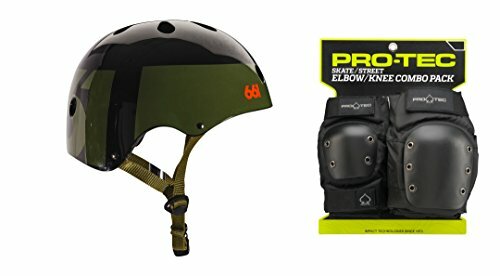 Includes Knee Pads, Elbow Pads, and Wrist Guards. Choose from Adult Extra Small to Large. See below for sizing instructions on the wrist/elbow/knee pads. To ensure a good wrist guard fit, measure hand circumference at the knuckles and match to the sizes listed below: XS 7.0 – 7.5 inches. S 7.5 – 8.0 inches. M 8.0 – 9.0 inches. L 9.0 – 10.0 inches. To ensure a good knee pad fit, measure the circumference of your extended knee and match to the sizes listed below: S 12 - 14 inches. M 13 - 16 inches. L 15 - 18 inches. To ensure a good elbow pad fit, measure the circumference of your elbow with your arm outstretched and match to the sizes listed below:. S 6 - 8 inches. M 8 - 10 inches. L 10 - 12 inches. This WOW Youth Kids' Motocross BMX MX ATV Dirt Bike Helmet is sure to have your little one looking cool. 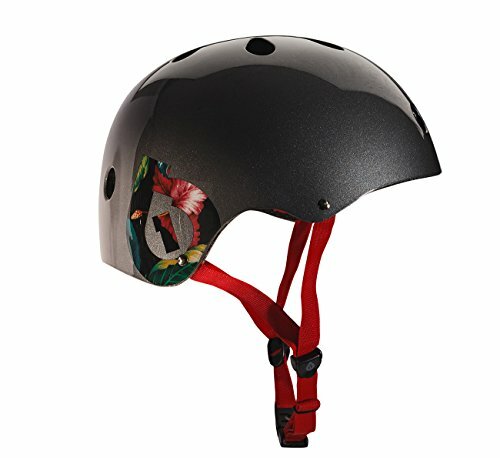 It features a lightweight and comfortable aerodynamic thermoplastic alloy shell to protect your child's head and skull. Its interior is heavily cushioned, and it is also removable and washable for easy care and maintenance. 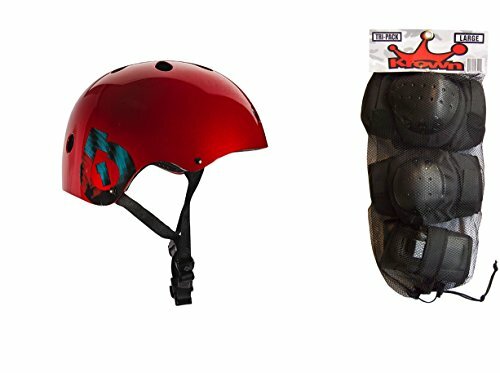 This youth dirt bike helmet comes in assorted designs and has a finish that is UV resistant.